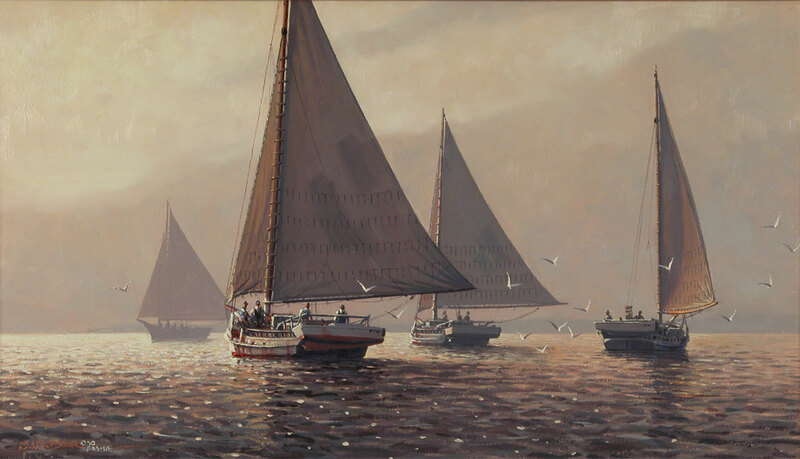 Skipjacks awaiting a breeze on the Chesapeake. Oil on Linen. Art 11″ x 19″ Overall Framed 16 3/8″ x 24 1/2″.